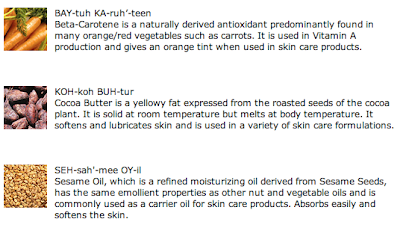 Allure - The Beauty Expert - has made our homework easy for us! By creating a Master List of 2010's Best of Beauty and Breakthrough products we now can skip all the trial runs with products and jump straight to the good stuff. 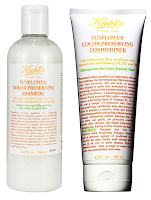 Kiehl's received awards from categories including Natural Wonders, Hair, and Guy Stuff. 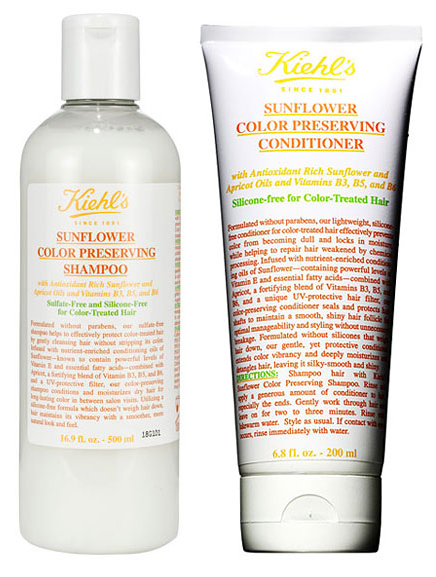 Kiehl's Sunflower Color Preserving Shampoo and Conditioner was featured under Natural Wonders because of it's "UV-protective sunflower oil sees to it that your hair color won't fade away." 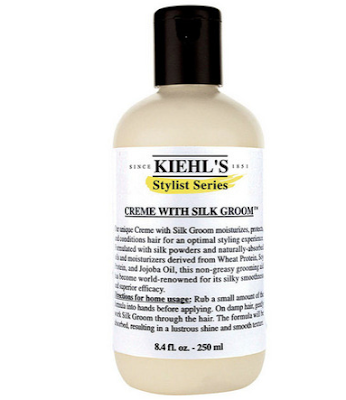 It's no surprise that their Creme with Silk Groom received an award for Hair Styling Products since this "tames flyaways weightlessly" and has been featured on a number of must-have lists. Guys don't feel left out! Best of Beauty included a Guy Stuff category with Kiehl's Blue Herbal Gel Cleanser winning an award. This gel cleanser "contains acne-fighting salicylic acid and skin-quieting witch hazel." Stop by Blush to pick up these award-winning products! With winter fast approaching, make sure that you have a game plan to beat dry skin. Vogue magazine recommends Kiehl's Creme de Corps moisturizer and we couldn't agree more! Come in for a free sample of this uber rich moisturizer and your skin will thank you all winter long! Lashes have a tough life. We would never treat our hair the way we do our lashes. Apart from the mascara we use every day – many of which contain shellac and petroleum that dries lashes out – we don’t think of conditioning them they way we do our hair. So they dry out and break and rarely reach their full potential in length. We swear by Jane Iredale's PureLash Conditioner. 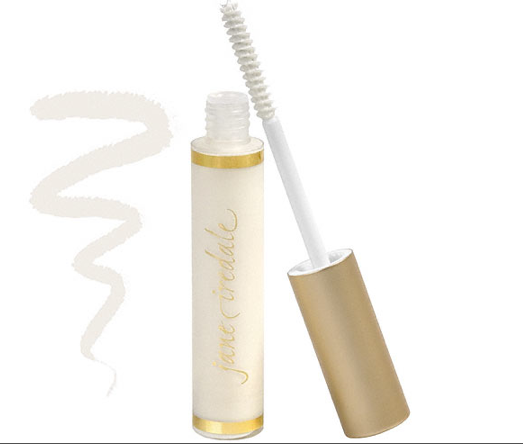 It keeps lashes soft, conditions them so they grow as long as possible and is a fabulous base for mascara. You’ll find that you have to use less mascara because the lashes have been primed before you apply it, so they look longer and thicker and are much happier. Good things come in mini packages. 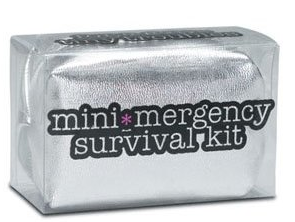 Measuring just 3.5" x 1.75" x 2.5" the Minimergency Survival Kit is more compact than a cupcake. From a teeny-tiny hairspray to single-use dental floss, Ms. and Mr. have miniaturized 16 emergency essentials that women need at their fingertips. Ladies can stash this low-cost life-saver in an evening clutch, glove compartment, or carry-on bag. And for an amazingly low price, this kit's size isn't the only thing that's mini. The kit includes:lip balm, breath freshener, dental floss, pain reliever, emery board, clear nail polish, nail polish remover, hair spray, clear elastics, earring backs, stain remover, mending kit, double-sided tape, mending kit, tampon, deodorant towelette, and adhesive bandages. Elle Magazine celebrated their 25th year this month with an enormous magazine filled to the brim with top twenty-fives, including their top 25 beauty products. "Not only did these superstars earn the most accolades in our pages since 1985 (beating out more than 10,000 other products for the honor), they continue to be can't-live-without-it daily essentials hoarded by editors, readers, and industry insiders alike." 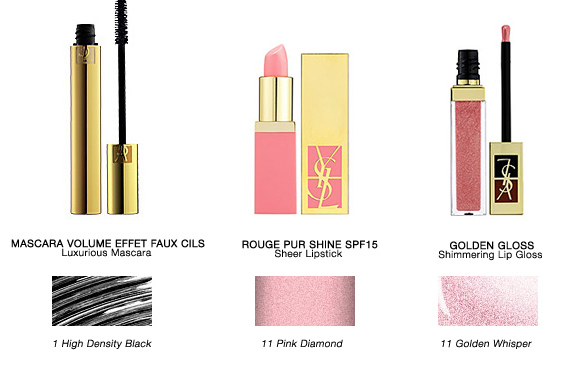 Two of our own favorite beauty products made their list! Delight in the thought that you are doing something wonderful for your hair when applying this silk goodness. This creme is made with Silk Powders and naturally-absorbed oils and moisturizers derived from Wheat Protein, Soy Protein, and Jojoba Oil. 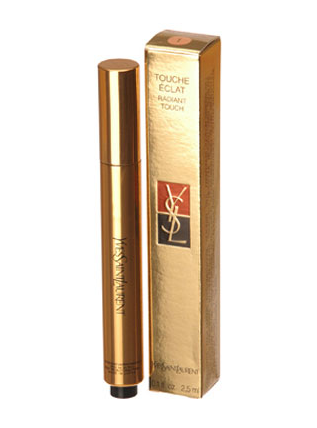 It's no surprise that one of favorite products, YSL's touche eclat made the list for the best highlighter. "The closest thing to Photoshop, this shimmery highlighter covers anything and brightens anywhere." Brush over concealer to eradicate dark circles or across cheekbones and temples for "golden goodness" skin." Kim Kardashian looks stunning in the new Fall collection of YSL. Here are a few tips from her make-up artist, Troy Jensen, in how to achieve this glamour girl look. Step 1: Use a light moisturizer and eye cream to prepare the skin. Step 2: Dab a touch of concealer under the eyes, around the mouth, and anywhere to conceal skin imperfections. Blend with a foundation brush. Step 3: Dab a touch of pale beige liquid shimmer at the top of the cheek bones, above the lip, and down the center of the nose. Blend well with the same foundation brush you used with the concealer. Then apply the liquid foundation across the forehead, down the jawline, and into the neck, blending with your foundation brush and making sure you blend well into the skin. Step 4: Set with pressed powder. Step 5: Apply powder cheek color, starting with the apples of the cheek and blending upward toward the hairline. Blend well. Step 6: Start eyes with a well-groomed brow and using your powder eye-shadow duo, dust the light shade just below the brow and the darker shade over the entire eye lid and below the lower lash line, creating a smokey effect. Blending upward but not too cat-like. Then line entire eye with black eyeliner and blend with a sponge applicator or q-tip. Curl and coat your lashes. Step 7: Line your lips with a neutral lip-liner, if needed, for added definition or just simply apply the pale pink lipstick to the entire lips and top off with the shimmering lip gloss. Step 8: Nails should be black with a touch of top coat for added shine. 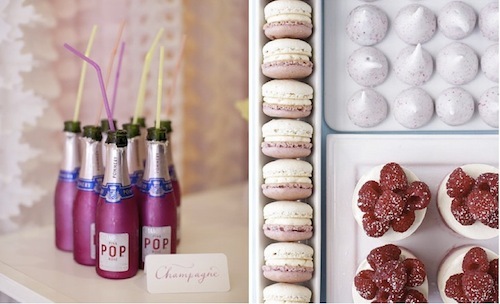 Come in to Blush and let us create this same look for you! Alright girls, listen up. If you have somehow never heard about YSL's magical touche eclat we invite you out of the darkness and into the light of this incredible highlighter. The dark circles and bags under your eyes will disappear thanks to YSL's touche eclat, or as we call it liquid gold. It brightens the eyes and covers a multitude of sins. It's been dubbed by everyone as their favorite beauty product from InStyle Magazine , New York Times, How to Walk in High Heels; The Girls Guide to Everything not to mention countless celebs, including Oprah that swear by it. Instyle dubbed it one of the six beauty products that make you look younger and we totally agree. Not worried about wrinkles yet? This product will work wonders after late nights and too much bubbly. Natalie Massenet, founder of one of our favorite websites, net-a-porter.com was featured in the October issue of Elle Decor. She list 12 things she can't live without, including Kiehl's Original Musk. Come by Blush and pick up your own bottle of this Keihl's goodness! Save the Date for our Grand Opening! Please join us on Tuesday October 12th for champagne and hors d'oeuvres to celebrate the Grand Opening of Blush of Wilmington! We are so excited to announce all of the new happenings at the brand new Blush of Wilmington. Elisha Wendt, owner of Lavish Boutique Salon, purchased the name and products of the previous Blush Aesthetics and Cosmetics Boutique. 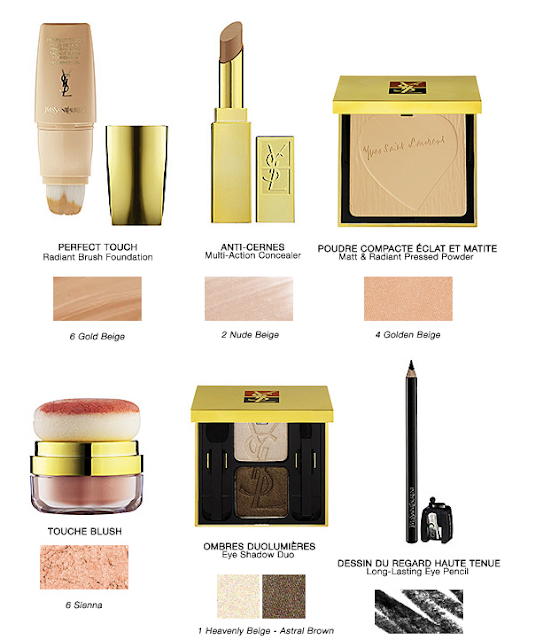 Blush of Wilmington is carrying all of your favorites, including YSL, Jane Airdale, and Kiehl's. We are excited to introduce Wilmington to one of other favorite French lines, La Compagnie De Provence, adorable lip gloss line Twist and Pout, as well as our favorite nail polish, Deborah Lippman. Come by and see the new Blush of Wilmington!